According to pest specialists in rodent control services, it is an exceptionally active rodent season and, for that reason, active pest control measures should be taken. The biology of a rodent and their unique habits may result in many challenges when it comes to their control. If left alone, these rodents may prove to be a relatively serious nuisance to you and a menace to your home. These warm-blooded mammals may be found in just about every single region of the world. Rodents possess oversized teeth which aids in chewing. Individuals that find that they are the victim of a rodent infestation often find that the mammals are capable of doing a significant amount of damage in a short amount of time. The most common types of rodents, according to pest control programs that offer rodent control services, are the cotton rat, the Norway rat, the roof rat, deer mice, and basic house mice. In order to avoid being subjected to the damage and frustration of this year’s highly active rodent season, you should learn a few measures that may be taken to deter the mammals from being attracted to your home and property. In this guide, you will learn the most productive active pest control measures. The Norway rat ranges in size from as small as 13 inches to as large as 17 inches and is typically grayish-brown in color. Deer mice are relatively small rodents that are typically tan-colored or brown. Their feet and the underbelly region are typically white. Basic house mice are usually anywhere from 5 inches to 7 inches in length and are quite slender. 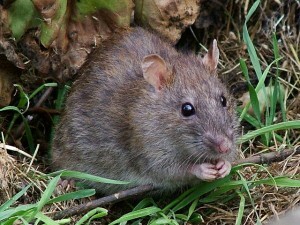 In most instances, these rodents are light gray in color. House mice have the ability to contaminate up to 10 times the total amount of food that they consume during feedings. Since the year of 1993, there have been over 400 cases of the illness known as “Hantavirus Pulmonary Syndrome” reported. This is carried and transmitted by rodents. There are fleas on rodents that are known to result in diseases such as the one called “Lymphocytic Choriomeningitis Virus” and the plague. Once you have used dishes and cooking utensils, those items should be washed, dried, and immediately put away. All food in the home should be stored in secure containers that are rodent-proof. If there are any holes, cracks, or gaps in or around your home that are larger than a quarter of an inch, you should seal them immediately. Weather stripping should be placed on the bottom of all exterior doors. If you cut and/or store firewood for your home, you should ensure that it is placed far away from all structures such as your home, your barn, garage, and storage sheds. Piles of debris (such as leaves and other items) should not be placed near the home or any structure on your property. Branches, bushes, and plants near the home should be trimmed so that they are not close to the home or hanging over the home. You should ensure that the gutters of your home direct water away from the building. You should avoid keeping garbage cans close to the home and other structures on the property. Never leave standing water in a sink or bathtub, and always close the lid on your toilets. You should ensure that all floors in your home are free from debris, such as dropped food, by sweeping, mopping, and/or vacuuming on a regular basis. Ensure that your yard does not have trash, old junk cars, weeds, piles of wood, and other materials that rodents could use for their home. Avoid placing bird feeders around your home as they may attract rodents. If you want to use these types of items, ensure that you integrate the use of a squirrel guard. According to pest control programs that offer rodent control services, active pest control and prevention techniques are essential to deterring rodents in and around the home. Rodents pose many health concerns to people. If you suspect that your home is experiencing an infestation, you should contact a company that offers pest control programs with rodent control services. If you do not suspect an issue with rodents, you may take the prevention steps outlined in this guide to keep rodents away. By taking these simple, but effective, rodent prevention steps today, you may enjoy many tomorrows without the burden of these potentially harmful pests.